"Smilies Address Labels" product is already in your cart. 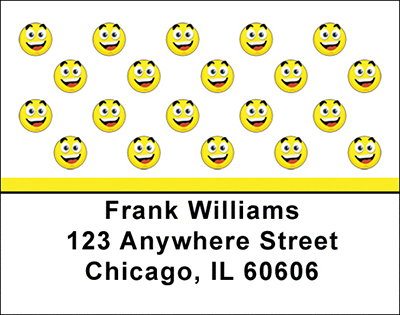 These cheerful Smilies Address Labels will show everyone that you always have a happy face. The bright yellow faces are a universal sign that you should always make the most of any situation – and put a smile on your face! It is a sure bet that as soon as someone sees these happy faces they will smile as it is almost impossible not to. So choose these Smilies Address Labels to ensure that you are always looking at the bright side of life and it will make everyone else smile as well when they see these delightful sunny and cheery faces.